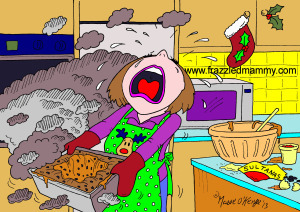 We all have our talents but baking isn’t one of mine. 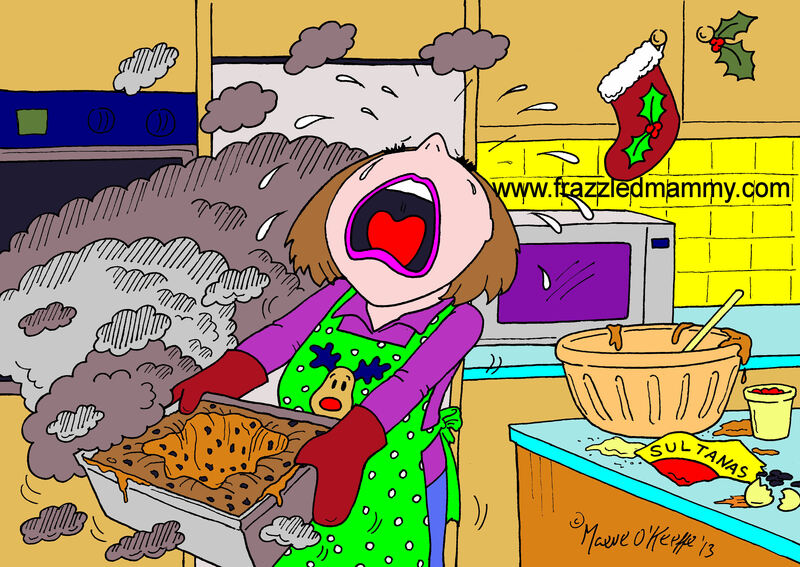 Like a lot of people I enjoy watching cookery shows and, of course, LOVE sampling nice food, but as for Christmas baking? That seems too advanced and out of my league. 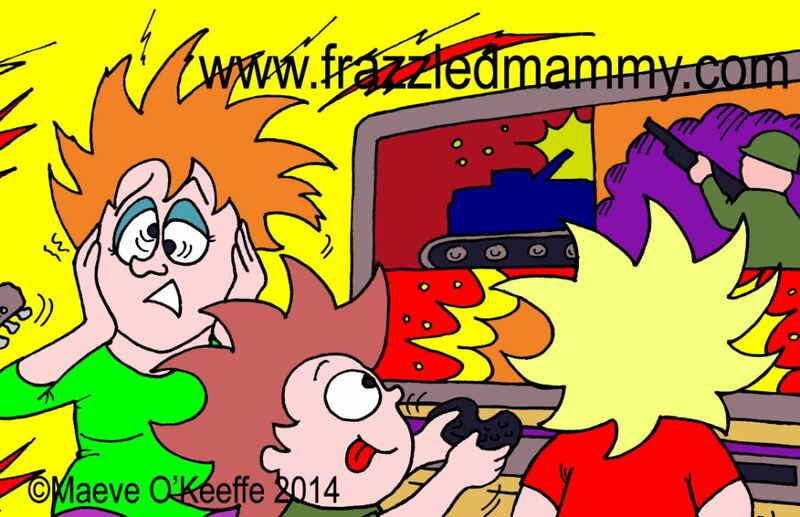 This entry was posted in Parenthood and tagged Cork, Illustrators Ireland, Ireland, Maeve O'Keeffe on December 18, 2014 by frazzledmammy. Buying the tree and getting organised for Christmas can be stressful! 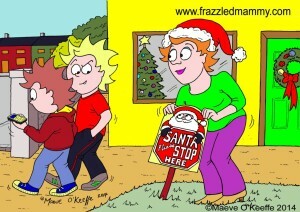 Some people have one special treat that marks the start of Christmas. 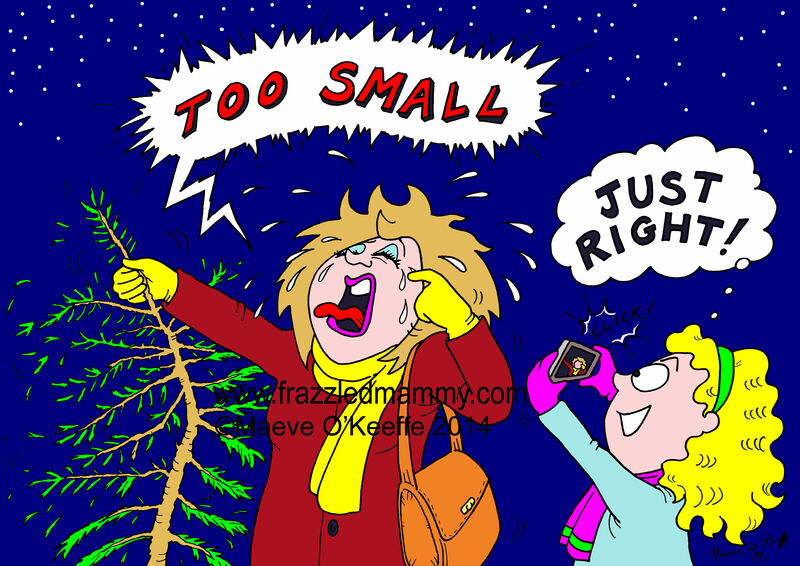 It could be advent calendars for the kids, setting up the crib, scoffing a first mince pie or decorating the tree. This entry was posted in Parenthood and tagged Cartoonist, Cork, Illustrator, Ireland, Maeve O'Keeffe on December 11, 2014 by frazzledmammy. Home with the kids while teachers strike! 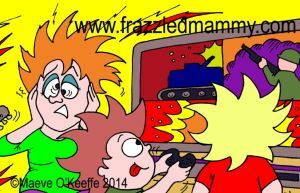 This entry was posted in Parenthood and tagged Cartoonist, Cork, Illustrator, Ireland, Maeve O'Keeffe on December 2, 2014 by frazzledmammy.